Since 1973 Mesolithic in Europe Conferences have been held eight times. At the last conference in Santander, Spain (September 2010), delegates chose Belgrade, Serbia to host The Ninth International Conference on the Mesolithic in Europe. 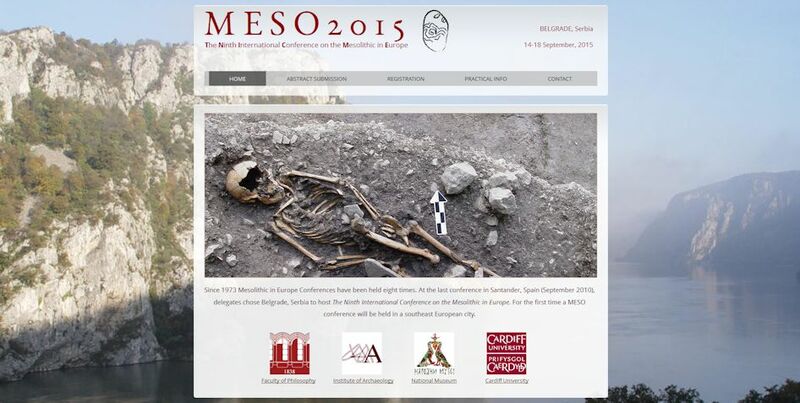 For the first time a MESO conference will be held in a south-east European city. The conference includes a field trip to the Danube Gorges and the Museum of Lepenski Vir, which sounds unmissable. This entry was posted in Events and activities, Hunter-gatherer-fisher, Mesolithic and tagged Belgrade, Conferences, Mesolithic, Serbia by Spencer Carter. Bookmark the permalink.